HARRISBURG — Pennsylvania is poised to enact a law that would require more public officials convicted of crimes to forfeit their taxpayer-funded pensions. The measure, which passed both the House and Senate overwhelmingly this week, is designed to close loopholes that allowed some former lawmakers to keep their five- or six-figure annual pensions, despite convictions on public corruption charges. Pennsylvania law currently requires state officials to automatically forfeit their pensions if they are convicted of nearly two dozen specific state crimes or federal crimes that are substantially similar. The new law would expand the list of crimes that prompt people to lose the perk to include felonies, other crimes that carry a prison sentence of more than five years, and many forms of conspiracy. Gov. Tom Wolf said he was “eager” to sign the bill into law — likely the first he’ll be approving in 2019 — but also called on the General Assembly to continue pushing ethics reforms. Philadelphia has had its share of felonious legislators. 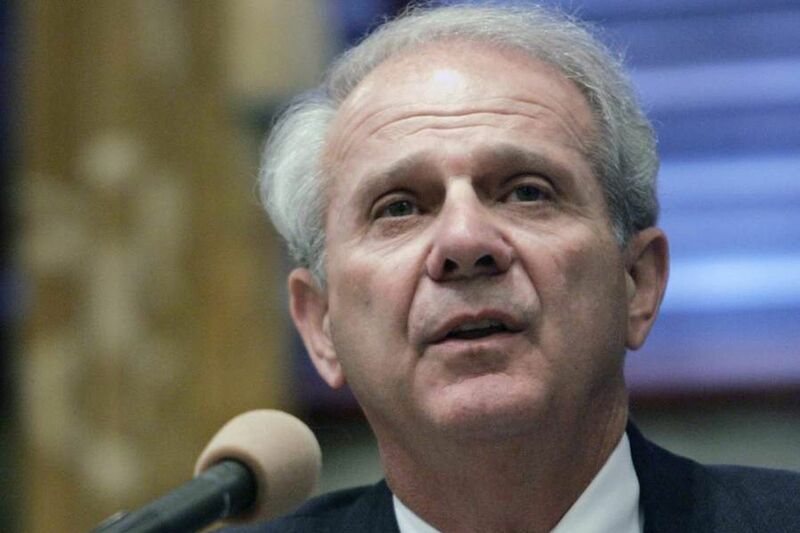 Former State Sen. Vince Fumo forfeited his six-figure state pension, minus his own contributions. Former House Speaker John Perzel, on the other hand, received a lump sum pension payment of just under $204,000 before he pleaded guilty in the “Bonusgate" scandal, but stopped receiving annual $85,000 payments after sentencing. More recently, four state representatives from Philadelphia — Michelle Brownlee, Harold James, Ronald Waters, and Louise Williams Bishop — were ensnared in a sting case that used an undercover operative to offer cash or gifts in exchange for official action. They struck deals to keep their government pensions. Each of them pleaded either guilty or no contest. Former Rep. Vanessa Lowery Brown, however, fought the sting charges and lost her state pension when she was convicted last year after 48 months of delays. It’s unclear how many people with criminal convictions are receiving a government pension. Forty-six people have forfeited their pensions run through the State Employees’ Retirement System over the last five years. Under the new proposal, convicted officials would be able to keep their personal contributions toward their state pensions but lose the taxpayer-funded portion. Sen. John DiSanto (R., Dauphin), who introduced the new measure, has said he wanted to close a loophole that allowed former Sen. Robert Mellow, a Democrat, to keep his $245,000 annual pension, despite serving a prison sentence on a federal corruption charge. Mellow was convicted in federal court of conspiracy to commit mail fraud and to defraud the United States. He lost his pension but won it back in 2017, when the board of the State Employees’ Retirement System narrowly decided to reinstate it on the ground that it did not closely enough mirror a state conviction that would trigger pension forfeiture. Mellow is not the only lawmaker to keep his pension. Staff writer Angela Couloumbis contributed to this report.